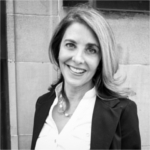 Denise Lash is the founder of Lash Condo Law and has over 25 years experience as a condominium lawyer representing condominium clients in all aspects of condominium law. Denise is known for her effective dispute resolution methods in dealing with issues between condominium corporations and developers as well as resolving complicated issues faced by her condominium clients. Denise has been recognized for her work on both a Provincial and National level. Denise is a writer, lecturer and is sought after by many media outlets for her condominium legal expertise. She has written for a number of publications. Denise was the host and founder of MondoCondo TV, a national program broadcasted on CH, TVtropolis and Global TV and also was the founder of the Toronto Condo Show which was established by Denise to provide information and resources to the condominium consumer.